Smashing The Glass’s 1st birthday Chanel giveaway! If the title didn’t give it away already, I’m excited to tell you that today is Smashing The Glass’s 1st birthday! That’s right, just over one year ago, I pressed ‘publish’ for the first time, so with great excitement it’s time to celebrate STG’s one year blog-iversary! 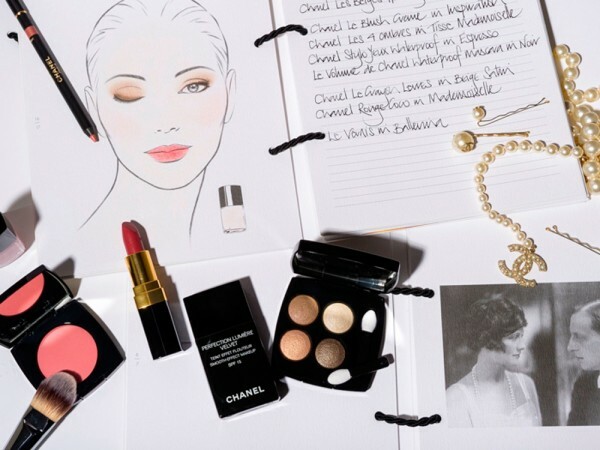 To commemorate a thrilling year of super-cool wedspiration, and to say thank you to all you lovely lot, I’m giving away a Chanel Bridal Journal with stunning pictures and poignant quotes from Coco herself , alongside face charts, skincare and beauty tips that’ll help you continue to glow once your wedding is over. 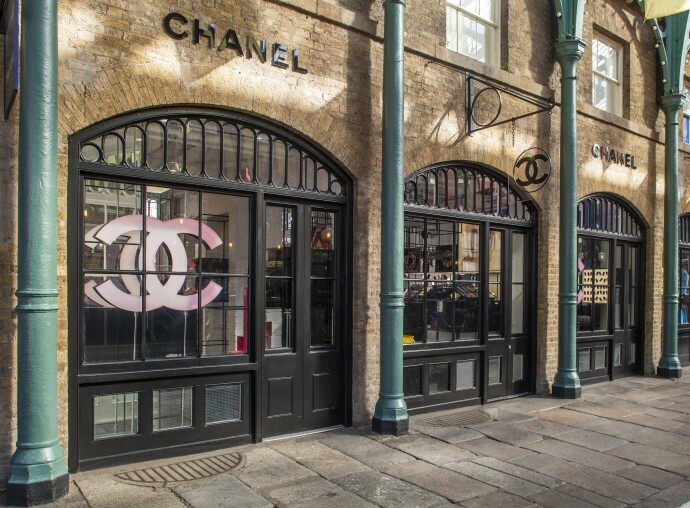 I’m also throwing in some samples and an invitation by Chanel for you and 3 friends to go along to their exclusive beauty boutique in Covent Garden to enjoy a masterclass tailored to your needs with a choice of services including makeup application, demonstration and practical tips. (Please note that although this is part of the prize you don’t have to reside in the UK to win). 1. 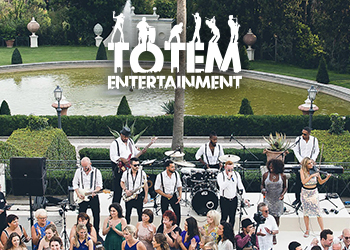 Please comment on this post and tell me which was the best wedding you’ve ever been to and (if applicable) the date of your wedding. 3. The giveaway closes on 30th June and the winner will be announced on our Facebook page. Now let’s quaff some bubbles and shake our bootays! Who’s with me?! This week was mostly spent blogging (and of course being a mum to 6 month old Sacha) but I did go to a fantastic raclette dinner party on Wednesday night (how retro is that?!) 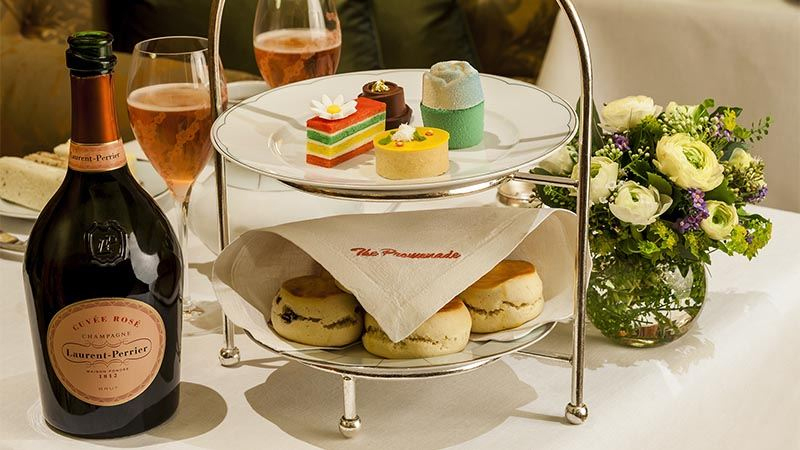 and also had the most wonderful afternoon tea at The Dorchester with the legendary Mark Niemierko. We had lots of fun munching on Chelsea Flower Garden themed cakes whilst discussing some very exciting collaborations. Keep your eyes peeled for what Team Smashierko have in store for you! 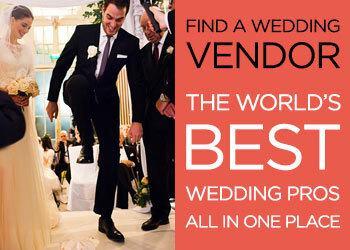 Also to let you know that last week the illustrious Wedding Blog Award nominations opened up. If you love STG I’d be so honoured if you’d spend 10 seconds nominating me in the Best Newcomer category (second from bottom in the dropdown menu). 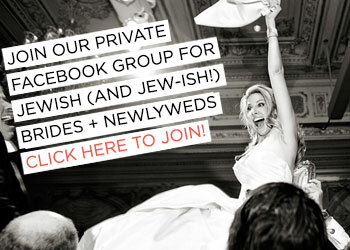 Get involved with #JewishBridesJune ! 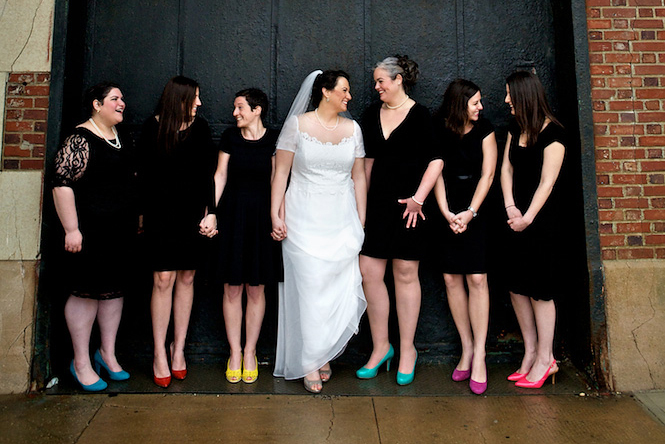 May 29th will be SmashingTheGlass.com’s 1st blog-iversary * and it’s electrifying to think how far my little Jewish wedding blog has come in 12 short months! Your comments, reassurance and support have been utterly overwhelming and I’m thrilled to say that a bigger, better Smashing The Glass 2.0 is now in the pipeline (more details soon). But first thing’s first, to celebrate our first birthday there are some very exciting happenings on the blog during June including a Chanel bridal competition (keep your eye peeled on the Smashing The Glass Facebook page for that one) and a roll-call of awards for some of the incredible suppliers and brides who have featured in our first year of Real Jewish Weddings. But something celebratory that’s going to last the whooooole month long is #JewishBridesJune ! 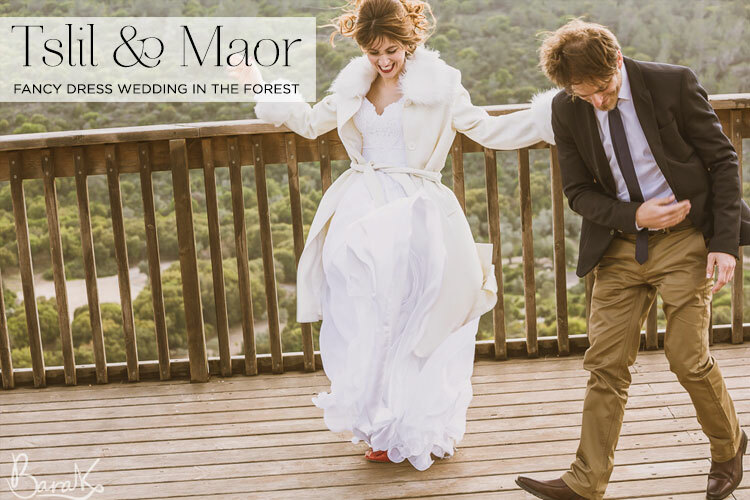 The concept is wholly inspired by the lovely Phoebe of So You’re Getting Married‘s #MarriedMay and the idea is that every day in June you lovely lot will literally put us in the picture about a different aspect of your wedding planning. 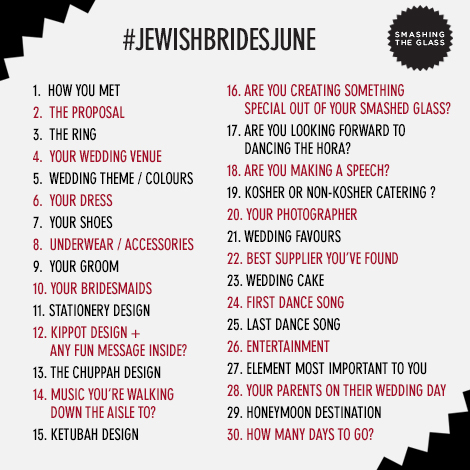 All you have to do is upload an image each day to Instagram, Twitter, Facebook or your blog based on that days title and tag #JewishBridesJune so we can all see and enjoy your wedding plans. 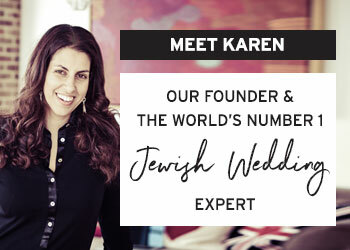 Of course I’m going to take part and rekindle my wedding day memories too, but I’m even more excited about ogling over all your exciting Jewish (or Jew-ish) weddings for 30 fabulous days! Super-excited for Sunday 1st June… see you then for #JewishBridesJune ! *Oh and as a 1st birthday present, if you want to nominate me as Best Newcomer in either the Wedding Blog Awards or the Next Newcomer Blog Awards, I’d be utterly over the moon. 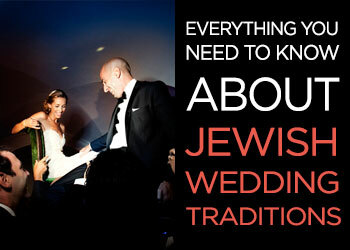 Keep in touch during #JewishBridesJune! Check out Smashing The Glass on Facebook, Twitter, Instagram and Pinterest. 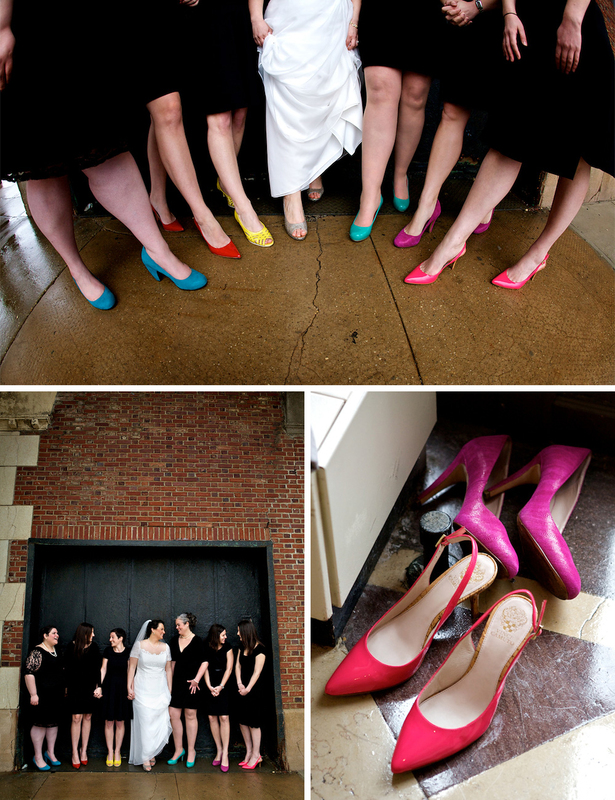 Who says weddings have to be afternoon or evening affairs? Late morning is absolutely open too–and if your favourite meal of the day is brunch (like Mikah and Alex’s is) then you need look no further for inspiration for creating a really personal brunch wedding than right here. And there are so many great reasons to serve brunch for your wedding food. It’s a great way to stick to your budget, a safe bet for picky eaters, and, hello…waffle bar!? 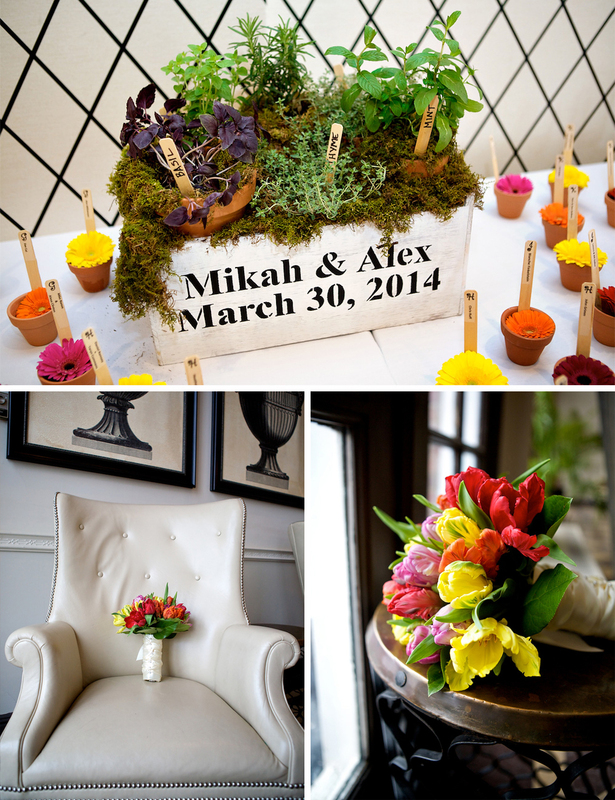 And if you don’t think a brunch wedding can feel formal or special, Mikah and Alex’s w-day will totally prove you wrong. 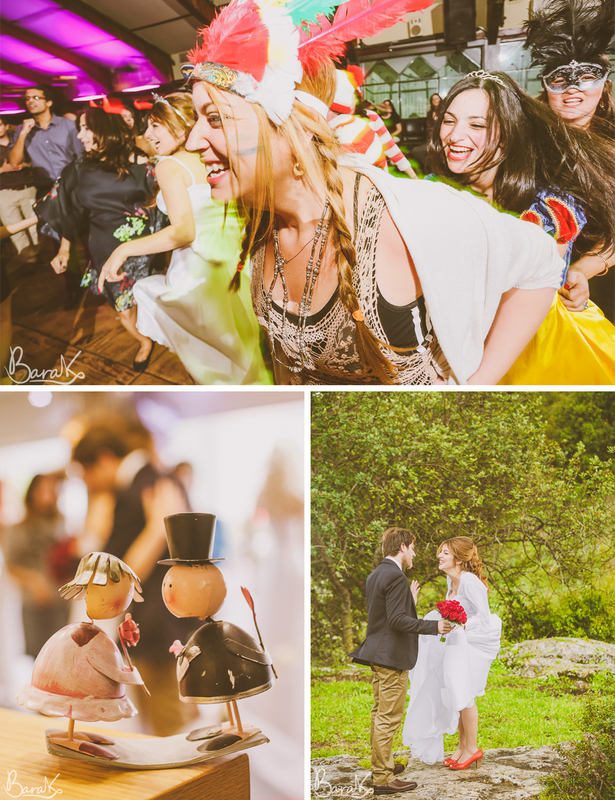 Grab your mimosa and ogle over Adia Photography’s gorgeous images, and watch out for some really fabulous touches like 14 different cakes for their table centrepieces (genius), ‘advice cards’ instead of a guest book, à¼ber-personal wedding favours, and best of all… a juggling rabbi! Mikah, the Bride: Firstly, I have to say that since my friend’s Sarit & Ari’s wedding was posted on Smashing the Glass, I have followed your site religiously. I love it! Alex and I met online. In April 2010, I received an instant message from a law student on OKCupid. Alex listed one of his favourite books as Flowers for Algernon, and I was intrigued. At the time, I usually limited first dates to no more than 20 minutes. When Alex and I met in-person for tea a few weeks later in DuPont Circle, we had an immediate connection: not only did we go out for tea, he asked me out to dinner that same night, which I agreed to, and he walked me home. I always tell him that while the date was great, it was the fact that he grabbed my hand to hold it on the walk back to my apartment that made me swoon.